The X-ACTO #11 Classic Fine Point knife blades are the perfect accessory to a true tool of precision. When elaborate, detailed cuts need to be made, the #11 blade is the one to choose. Because the blade is made with quality sharpened carbon and steel, you can make the most detailed and meticulous cuts knowing that the blade can stand up to the pressure. You wont have to worry about these blades chipping or snapping. The X-ACTO #11 Classic Fine Point knife blades are available with a unique, blade dispenser that allows you to easily access the next blade when it is time to switch, safely and without hassle. 6 Pack mixed professional artist brushes. Made of white taklon soft bristles, flat, angle and round tips included. The ultimate in quality for ceramic, detailing, fine art, and finishings. DecoArt's Premium Stencil Brush Set is ideal for stencilling and set of four includes 1, 4, 8 and 12 sizes. These premium brushes are skillfully handcrafted to ensure the natural flags of the bristle remain intact to deliver superior results when layering, shading and blending colours. No. 11 Classic Fine Point The X-ACTO #11 Classic Fine Point knife blades are the perfect accessory to a true tool of precision. When elaborate, detailed cuts need to be made, the #11 blade is the one to choose. Because the blade is made with quality sharpened carbon and steel, you can make the most detailed and meticulous cuts knowing that the blade can stand up to the pressure. You wont have to worry about these blades chipping or snapping. 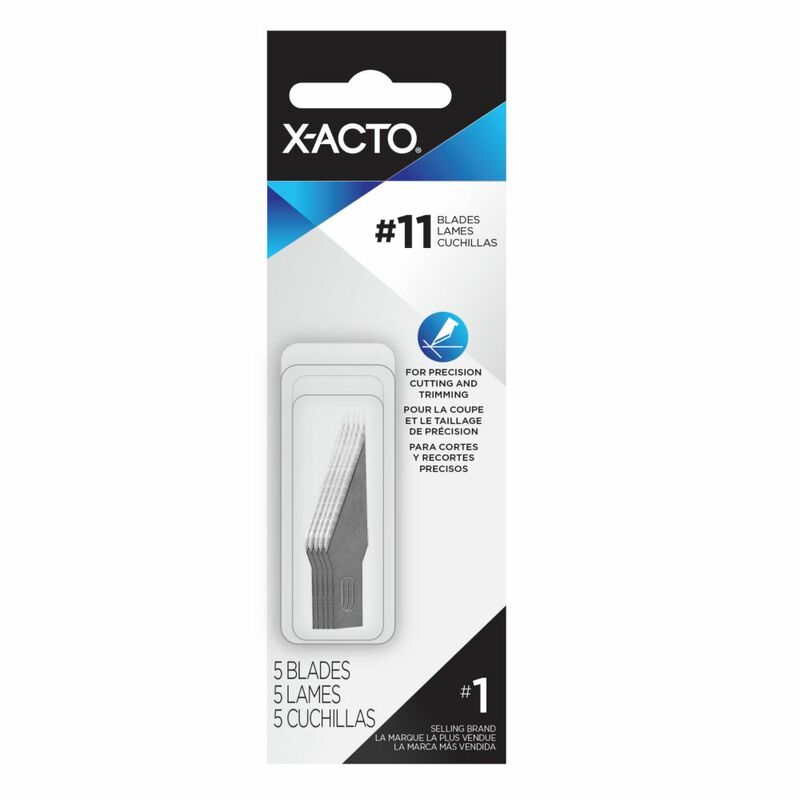 The X-ACTO #11 Classic Fine Point knife blades are available with a unique, blade dispenser that allows you to easily access the next blade when it is time to switch, safely and without hassle. No. 11 Classic Fine Point is rated 5.0 out of 5 by 1.